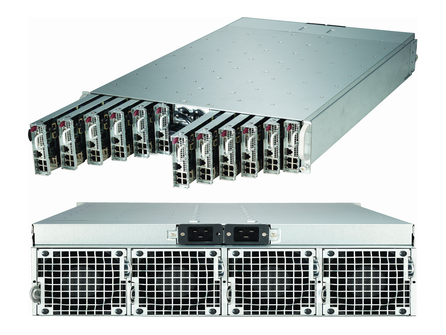 The Supermicro F617R2-R72+ is a 4U FatTwin Rackmount with 8 nodes, Redundant Power Supply, 48x 2.5" SATA/SAS Hot-swap Bays, and Integrated 6G SAS. 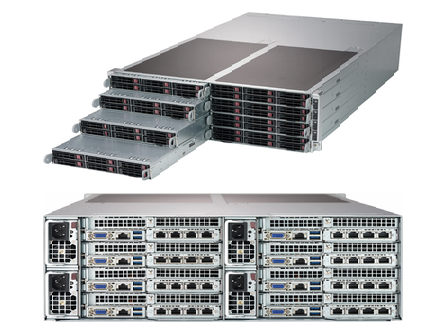 The Supermicro 5038MA-H24TRF is a 3U Microcloud SuperServer with up to 24 System Nodes, 48 2.5" Hot-swap drive bays, and 1600W Redundant Power Supplies. The Supermicro 5038MD-H8TRF is a 3U Microcloud SuperServer with up to 8 System Nodes, 16 3.5" Hot-swap drive bays, and 1600W Redundant Power Supplies. The Supermicro 5038MD-H24TRF is a 3U Microcloud SuperServer with up to 24 System Nodes, 24 2.5" Hot-swap drive bays, and 1600W Redundant Power Supplies. The Supermicro F629P3-RC1B is a 4U FatTwin Rack server with 4 Hot-plug System Nodes, 8 3.5" Hot-swap SAS3/SATA3 drive bays, and 1200W Redundant Power Supplies. 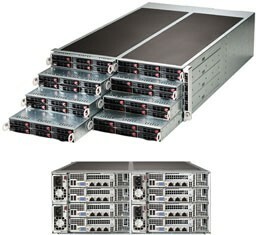 The Supermicro F629P3-RC0B is a 4U FatTwin Rack server with 4 Hot-plug System Nodes, 8 3.5" Hot-swap SAS3/SATA3 drive bays, and 1200W Redundant Power Supplies. 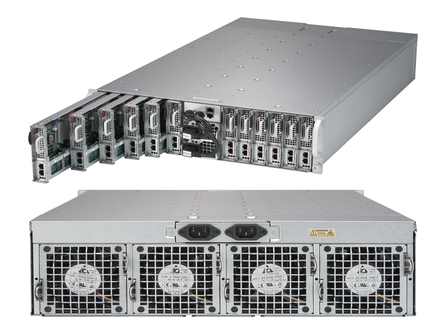 The Supermicro F629P3-RTB is a 4U FatTwin Rack server with 4 Hot-plug System Nodes, 8 3.5" Hot-swap SATA3 drive bays, and 1200W Redundant Power Supplies. 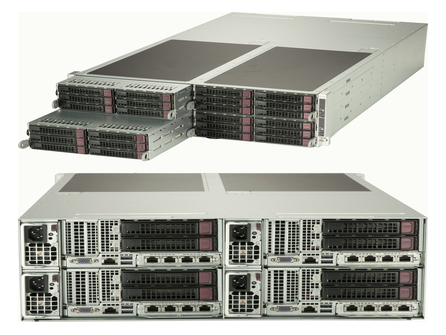 The Supermicro F629P3-RTBN is a 4U FatTwin Rack server with 4 Hot-plug System Nodes, 8 3.5" Hot-swap SAS3/SATA3 drive bays, and 1200W Redundant Power Supplies. 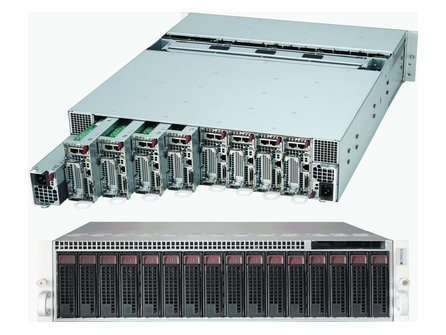 The Supermicro F619P2-RC1 is a 4U FatTwin Rack server with 8 Hot-plug System Nodes, 6 2.5" Hot-swap SAS3/SATA3 drive bays, and 2200W Redundant Power Supplies. 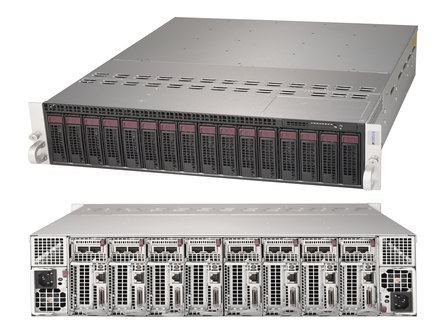 The Supermicro F619P2-RC0 is a 4U FatTwin Rack server with 8 Hot-plug System Nodes, 6 2.5" Hot-swap SAS3/SATA3 drive bays, and 2200W Redundant Power Supplies.